Polycom, Inc. announced today that the Polycom RealPresence Centro, is now available in select regions around the globe including India. 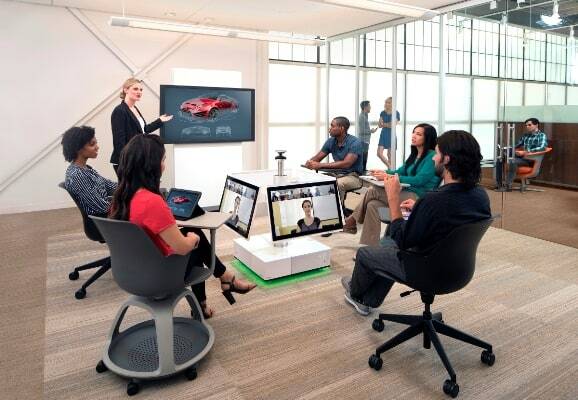 Research indicates that when people gather in the round, they are more collaborative and productive, and the RealPresence Centro solution is the first to do this in such a way that all members of the video collaboration – both near and far end participants – have an equal and immersive experience. The RealPresence Centro solution introduces a brand new paradigm for group conferencing that drives deep engagement and highly productive meetings by bringing people to the centre of collaboration. The RealPresence Centro solution keys on the instinctive human behavior to gather in a circle to work together in a more natural way. Moreover, the RealPresence Centro system anticipates the needs of its users, displaying exactly who and what you need to see at all times. The four brilliant touch-screen displays and intuitive interface allow for an easy touch-to-join experience and installation is as easy as plug and play. Earlier this month, Polycom announced that NCI Agency, a division of NATO, was the first to deploy RealPresence Centro to elevate its “new ways of working” program. Initially deployed as a demo unit, the RealPresence Centro experience proved so compelling that the system has been put into a fully operational status on NATO’s Restricted Network, a highly protected and secure network within NATO’s infrastructure, and is at the centre of NATO’s most important communications. The RealPresence Centro solution is available in select regions including Australia, New Zealand, Japan, Hong Kong, India, Malaysia, Singapore, North America, Europe and the European Free Trade Association (EFTA) and Israel. Additional countries will be available in Q2 and Q3 of 2016. Polycom RealPresence Centro Now Available In India 0 out of 5 based on 0 ratings. 0 user reviews.